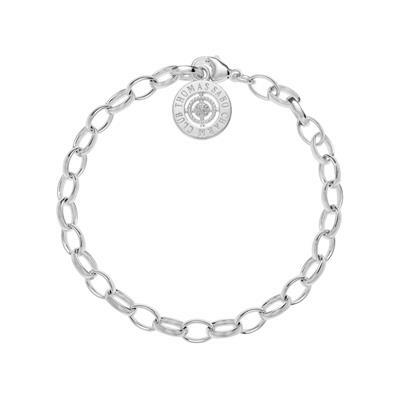 From the iconic Charm Club collection from Thomas Sabo is this limited edition bracelet to celebrate their tenth Birthday! Made from 925 Sterling Silver polished to a beautiful shine set with sparkling diamonds. A new edition to the charm club range, complete your charm bracelet with charms of your choice. A fabulous way to create a personal gift for someone special, and a great way to collect memories along the way.